The idea of sovereign state-contingent debt instruments (SCDIs), which would link contractual debt service obligations to a pre-defined state variable, has been around for some time (Krugman 1988, Shiller 1993, and more recently, Blanchard et al. 2016 for a recent contribution) but market development has been limited so far. While previous studies have documented the SCDIs issued in the Brady restructurings (Rocha 1999), and examined individual instruments (Costa et al. 2008, and Zoheir and Tavakoli 2016), this analysis focuses on lessons from broader experience to better understand key impediments to market development. To date, sovereigns have not used SCDIs as a regular instrument of budget financing. Whereas the use of non-debt instruments such as derivatives (e.g. put options by oil exporters) to hedge fiscal risks is quite widespread (IMF 2011), the issuance of SCDIs has been very limited. Nevertheless, examples stretch back to the mid-19th century, when Confederate cotton-linked bonds financed war coffers (Barone and Masera 1996). More recent instances include Mexico’s oil-linked bonds in the late 1970s, Turkey’s revenue-indexed bonds in the 2000s (with yields tied to the income of several state enterprises), and Uruguay’s bonds linked to nominal wages, launched in 2014. In addition, several official creditors have extended loans with state contingent features (such as the Agence Française de Développement’s countercyclical loans and Venezuela’s Petrocaribe loans). Sovereigns have tested such waters for many reasons, including in recent times, the expansion of their investor base through the provision of instruments that better match investors’ long-term liabilities (Table 1). Sources: Petrocaribe, Agence Française de Développement, Zoheir and Tavakoli (2016). Though limited, the examples of SCDIs in ‘normal times’ offer invaluable lessons for design and broader uptake. First, confidence in data quality is important. Perhaps reflecting oft-cited concerns of data manipulation, market indices or prices have been used more frequently than economic statistics (such as GDP), in part owing to their greater measurement certainty, including the lack of subsequent revisions, which can deter investors. Second, to gain traction, SCDIs need to be carefully designed to match the interests of investor groups. SCDIs can provide valuable fiscal benefits for the issuers, but may need to provide benefits for specific investor groups, beyond the higher yields relative to conventional instruments. As a result, many SCDIs have been placed privately with targeted investor groups and have been non-tradeable (Uruguay, the UK, Portugal, India). Third, loss aversion — for both sovereign issuers and investors — can be an impediment. For issuers, political constraints can make it difficult for sovereigns to justify sharing returns in good times, especially when payouts are due to external creditors. For risk-averse investors, the realisation of substantial losses can greatly dis-incentivise future appetite. And so, caps and floors have been in demand in the past. For example, instruments issued by Turkey, Portugal, India, and Mexico all offered a guaranteed minimum return. But caps and floors may limit the protection eventually afforded to the sovereign. Finally, appropriate institutional support is important. Along with independent statistical agencies, these cases highlight the importance of strong debt management capacity (with SCDIs only issued by sovereigns with well-established debt management offices), or official sector support (such as through multilateral development banks), which can encourage repeat use of state contingent instruments by lowering issuance costs. In contrast to normal times, SCDIs have become a common component of sovereign debt restructurings. In such circumstances, the divergence between the economic expectations of creditors and debtors has provided a natural environment for SCDIs to emerge. The first use of state contingent bonds in debt restructurings occurred in the Brady deals from 1989-97, which allowed commercial banks’ claims on debtor countries to be exchanged for tradable instruments, allowing the banks to clean up their balance sheets. Many of these instruments included ‘value recovery rights’, which envisaged additional debt payments in circumstances where the debtor country’s economic or terms of trade conditions improved substantially (Rocha 1999). Oil exporters generally linked the payments to oil prices, while other countries linked either to GDP or measures of the terms of trade.1 Many of the Brady instruments subsequently made significant ongoing upside payments (e.g. Bosnia and Venezuela), while in some cases sovereigns chose to repurchase the instruments as it became clear that upside payments would be triggered (e.g. Mexico, and Bulgaria in the mid-2000s). 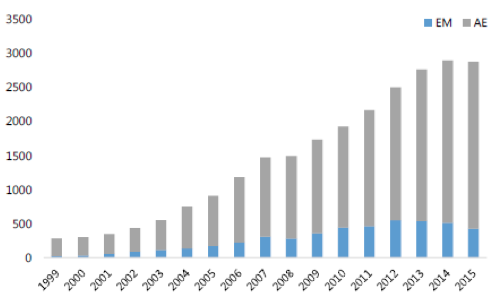 More recently, ‘upside’ GDP-warrants have featured as part of the package of bonds issued to creditors in each of the three major restructurings of the past decade: Argentina (2005 and 2010), Greece (2012), and Ukraine (2015). 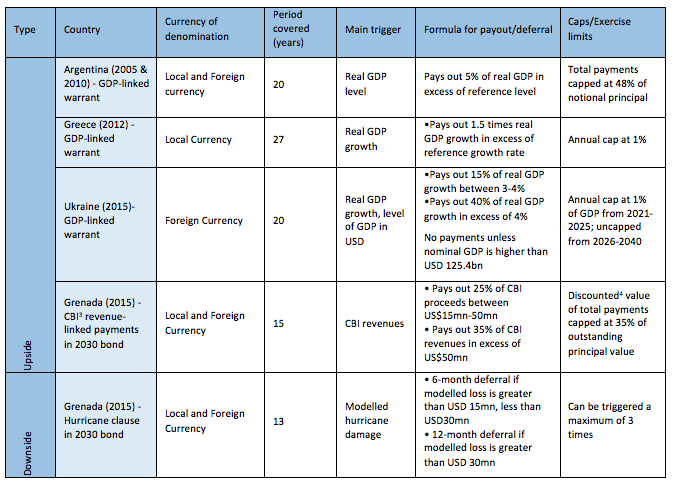 In the case of Grenada (2015), the restructuring deal included instruments with both upside and downside features (Table 2). Experience from restructuring cases illustrates four other things. First, indexation lags can erode the countercyclical properties of an SCDI, and links to highly persistent state variables are problematic. For example, in the case of Argentina’s GDP warrants, the indexation lag led to high payments even in years when the economy was in recession, and the indexation to the level of GDP necessitated ongoing payments for growth in the early years after issuance – which proved politically very difficult (Benford et al. 2016). Second, contracts must address data quality issues. Data issues recurred frequently in the case of the Brady deals, either due to the ambiguity of the index referenced (Bulgaria) or confusion around the treatment of data revisions (Bosnia), which gave them a bad reputation among market participants. Third, instrument complexity comes at a high cost in terms of volatile pricing, low liquidity, and high-risk premiums. The complexity, relative rarity, and tailored structures of most existing SCDIs have prevented the market from converging on valuation methods, and encouraged reliance on simple pricing mechanisms. Furthermore, the instruments have experienced volatile pricing, in part because of the inherent difficulty in pricing non-linear payment structures. In the case of the Brady deals, the non-detachability and the guarantees imbedded in the bonds also led to high liquidity premiums. Finally, governments undergoing a restructuring need to pay careful attention to both costs and benefits. Faced with a debt crisis, a government’s most immediate concern tends to be concluding an orderly restructuring quickly, securing the requisite debt relief. As such, sovereigns may be more focused on the current payment schedule than investors, who may put more weight on future payments promised in an upside instrument, or the uncertainty around these. In some cases, this has resulted in instruments offering relatively generous payments in the event of an upside scenario. The development of the inflation-linked bonds market provides a case-study of a state-contingent debt instrument that has achieved rapid growth in recent years. Inflation-linked bonds have a long history, dating back to a 1780 issuance by the State of Massachusetts (Shiller 2003). More recently, they emerged in Latin America in the 1950s and 1960s, in an environment of very high domestic inflation, and the UK became the first advanced economy to issue inflation-linked bonds in 1981. However, the inflation-linked market gained momentum in the 1990s and 2000s, as several advanced economies and emerging markets began to issue, and the global stock of government inflation-linked bonds had grown to around USD 3 trillion by 2015 (Figure 1). Despite this recent growth, inflation-linked debt still accounts for a relatively small share of sovereign debt portfolios in most countries (Figure 2). Note: EMs: Argentina, Brazil, Chile, Colombia, Hungary, India, Mexico, Peru, Poland, Russia, South Africa, Thailand, Turkey. AEs: Australia, Belgium, Canada, France, Germany, Hong Kong, Israel, Italy, Korea, Spain, Sweden, United Kingdom, United States. Because of data limitations, Denmark, Greece, Iceland, Japan, and New Zealand are not included. The successful development of inflation-linked bond markets since the 1980s provides several insights for market development. First, instruments need to offer diversification benefits for both investors and the issuer. For investors, inflation-linked bonds hedged the risk that they might lose the local purchasing power of their savings. For issuers, the debt service was well correlated with government revenue. Second, it is helpful if SCDIs complement existing macro-stabilisation frameworks. Inflation-linked debt strengthened the incentive for issuers to keep inflation low, which in many cases could boost the credibility of the monetary policy framework, in the sense that the country authority was seen to be “putting their money where their mouth is”. Third, standardisation is vital to promote a liquid market. The emergence of a simple standardised design – the so-called ‘Canadian model’ had helped boost liquidity, reduce costs, and facilitate further issuance. Fourth, market development takes time, and often requires political will. Inflation-linked bond issuance has gained momentum only gradually, and political will was critical. For example, in the US it took several years for the idea to translate into reality, and only after was there a strong push from the US Treasury. Fifth, uncertainty around the state variable can be a catalyst for issuance. In some countries, inflation-linkers were issued at a time of significant uncertainty around inflation and high public debt-to-GDP ratios. The current uncertainty around future growth and the high debt-to-GDP levels in advanced and emerging economies could present a similar opportunity for issuance of SCDIs linked to GDP. Finally, continued higher liquidity premiums on these instruments need not deter their regular issuance. For example, some estimates suggest that US inflation-linked treasury bonds continue to pay a premium of about 40 basis points, even with more than USD 1 trillion outstanding (Abraham et al. 2015). Authors’ note: This column draws on the main findings of a recent IMF (2017) board paper on “State-contingent debt instruments for sovereigns”. The views expressed in this article are those of the authors and should not be attributed to the IMF, its Executive Board, or its management. Any errors and omissions are the sole responsibility of the authors. Abraham, M, T Adrian, R Crump, and E Moench (2015), “Decomposing Real and Nominal Yield Curves”, Staff Report No. 570, Federal Reserve Bank of New York. Barone, E and S Masera, Rainer (1996), “Indexed-linked bonds from an academic, market and policy making standpoint”, Ricerche Economiche, 50 (1), 1-25. Benford, J, T Best, and M Joy, with contributions from other central banks (2016), “Sovereign GDP-Linked Bonds”, Bank of England Financial Stability Paper No. 39, September. Blanchard, O, P Mauro, and J Acalin (2016), “The Case for Growth Indexed Bonds in Advanced Economies Today”, Peterson Institute for International Economics, Policy Brief, Vol.19. Costa, A, M Chamon, and L Ricci (2008), “Is there a novelty premium on new financial instruments? 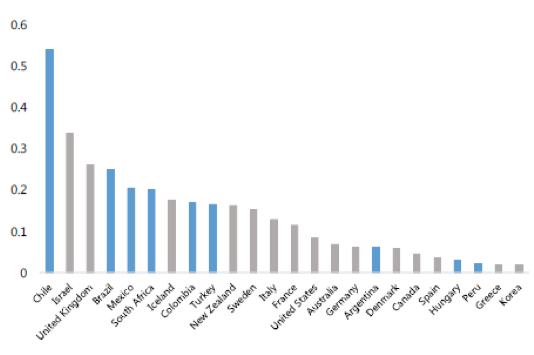 The Argentine Experience with GDP-Indexed Warrants”, IMF Working Paper 08/109. International Monetary Fund (2011), “Managing Volatility in Low-Income Countries – The Role and Potential for Contingent Financial Instruments”, IMF Policy Paper, 31 October, Washington. 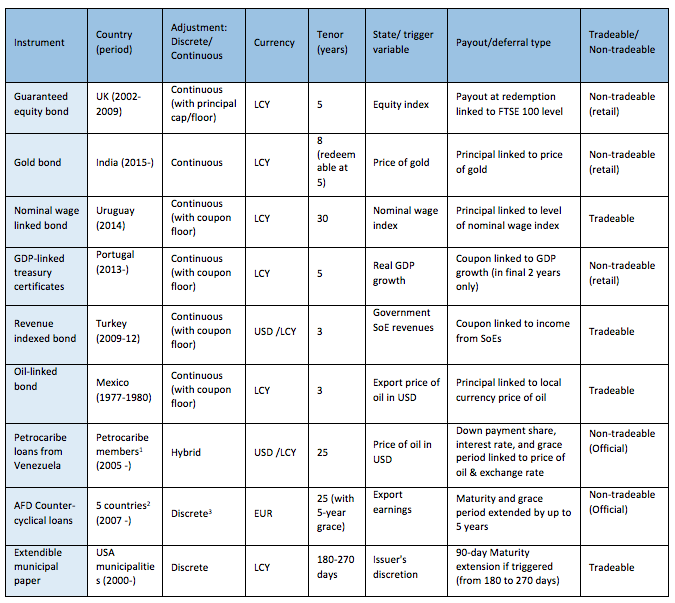 International Monetary Fund (2017), “State-Contingent Debt Instruments for Sovereigns”, IMF Policy Paper, 22 May, Washington. Krugman, P (1988), “Financing vs. forgiving a debt overhang: Some analytical issues”, NBER Working Paper No. 2486. Rocha, B M (1999), Development Financing and Changes in Circumstances, The Case for Adaptation Clauses, London & New York: Kegan. Shiller, R J (1993), Macro Markets: Creating Institutions for Managing Society’s Largest Economic Risks, Clarendon Press, Oxford. Zoheir, E, and H Tavakoli (2016), “Countercyclical financial instruments – Building fiscal resilience to exogenous shocks”, Commonwealth Secretariat, London. GDP-linked are Bosnia &Herzegovina (1997), Honduras (1989), Costs Rica (1990), Bulgaria (1993), Cote d’Ivoire (1997). Commodity-price linked are Venezuela (1990), Nigeria (1992), Mexico (1990), Bolivia (1992); Terms of trade linked is Uruguay (1991).